If you are in need of a desktop replacement, this laptop in question could reportedly be just the one you are looking for. Coming all the way from Australian PC manufacturer Pioneer Computers, the new DreamBook Power P17 is supposedly targeted towards gaming and multimedia enthusiasts. Customers willing to own one of those should be prepared to pay about US $2,300. This high-performance notebook can be customized before the actual purchase, adding a more powerful CPU, GPU and more memory. Naturally, the price would go up accordingly. The Power P17 standard configuration incorporates a Sandy Bridge Core 2310M but the system can be ordered with up to an Intel Core i7-2920XM Extreme, which packs four cores clocked at 2.5GHz (up to 3.50GHz with Turbo Boost, 55W max TDP). Currently, this is the fastest (and most expensive) mobile processor that supports up to 16GB of RAM. The 17.3-inch Crystal Bright widescreen display with a resolution of 1920-by-1080 pixels will let you watch and enjoy Full HD 1080p content. In addition, a Blu-Ray drive complements P17’s overall appeal. The powerful workstation can house either an NVDIA GeForce GTX 460M (1.5GB) or an NVIDIA GeForce GTX 485M with a total of 2GB of GDDR5 VRAM and full DirectX11 support (Shader 5.0). Furthermore, the system sports 2 –to 16GB of internal memory and up to 2TB of storage capacity in form of two mechanical hard drives (SSD is also available). Users can stay connected thanks to the built-in Wireless LAN and Bluetooth 3.0 adaptors. Moreover, this laptop comes with 5 USB ports (2xUSB 3.0, 2xUSB 2.0 and 1xeSATA Combo port), 9-in-1 card reader, DVI and HDMI interface. Video chats are possible with the integrated 2.0 MP web camera. 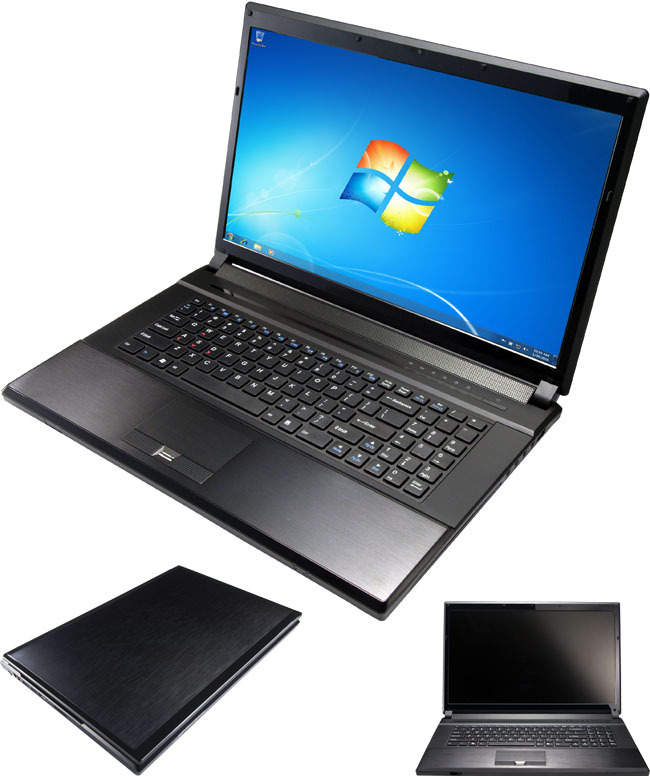 The DreamBook Power P17 is obtainable with a Windows 7 64bit operating system, high-definition audio support and a Kensington Lock for enhanced security. The unit weighs about 4kg with an 8-cell Smart Li-ion battery (up to 180 minutes runtime on single charge with NVIDIA GeForce GTX 460M). Further features include a full size keyboard with numeric pad, an optional fingerprint reader and an optional TV Tuner module.